Fresh start to 2016! | Cobberson + Co. Happy New Year, friends! 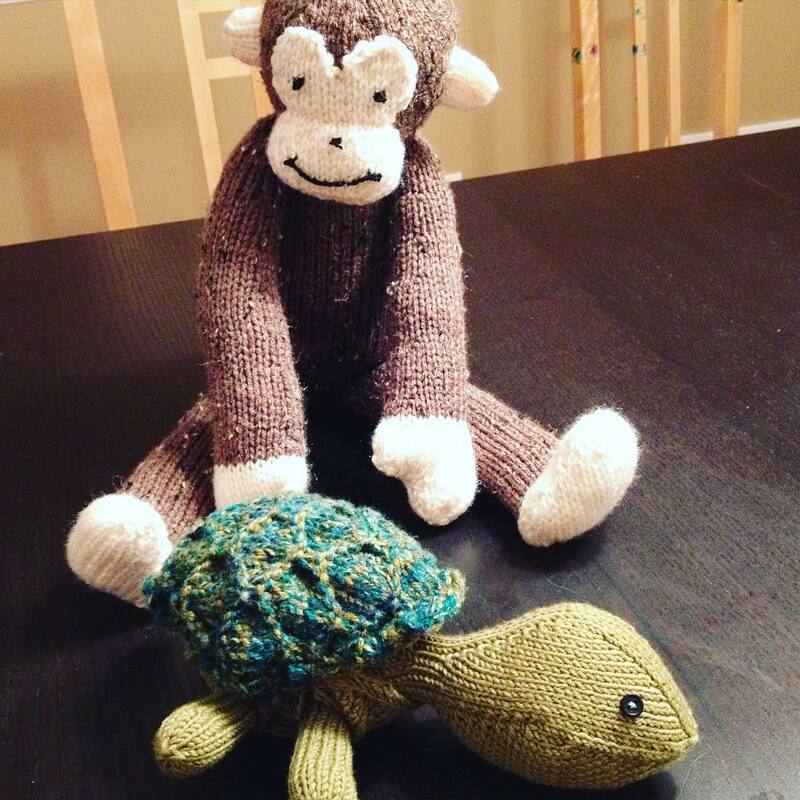 I haven’t posted since around Thanksgiving because I had some very important knitting projects to work on: a new baby Sheldon the Turtle and baby monkey stuffed animals for my boys. I LOVED seeing how the slipped stitches in the turtle shell created the little diamond pattern. It was like magic. I did have to rip it out a few times at the beginning of the shell because I didn’t quite understand what was supposed to be happening, but once I figured it out, it went very quickly. Right after I finished Sheldon, I came down with some kind of weird cold/ flu thing that zapped all my energy for two whole weeks, so I lost all that time to work on the monkey. Mr. Monkey was finished ON Christmas at midnight, just barely keeping my promise that he’d be done on time. If you decide to make the monkey, I would definitely recommend making as many pieces in the round as possible as there is a LOT of seaming. If you’re not great at seaming, you will be by the time you’re finished. I didn’t really go for the recommended gauge on either pattern, because that’s just how I roll when I’m not making a garment. Did you make any crafted holiday gifts this year? Share them below! Previous Post New 5×5 “Knitters Gonna Knit” digital prints have hit my Etsy shop!